Intel is exploring ways to accelerate virtual reality by building dedicated logic into its integrated Core microprocessors that would improve VR on even basic notebooks. Comments from Kim Pallister, the director of the Virtual Reality Center of Excellence at Intel, in a short interview on the eve of the Virtual Reality Developers Conference (VRDC) in San Francisco, imply that these features are in the design stage. It’s not clear when those improvements will roll out to the computing community at large, however. Virtual reality remains a hot topic among chip companies like Intel, which see the demands of VR—high video resolutions at high frame rates, with sensor inputs across six degrees of freedom requiring even more computational horsepower—as a driver for new, more powerful chip architectures. But there are limitations: With clock speeds effectively capped at a bit faster than 4 GHz, Intel doesn’t necessarily have the horsepower in its Core chips available to power VR. And even if it did, the trend toward declining PC prices says that consumers wouldn’t necessarily want to pay for it. The idea is to tap as much existing horsepower as possible in existing PCs while optimizing for the future. And that’s exactly what Intel is doing. For now, the company is using its existing media engines to accelerate 360-degree video that can be viewed in virtual reality. And in future generations of Intel’s Core chips? Dedicated logic. 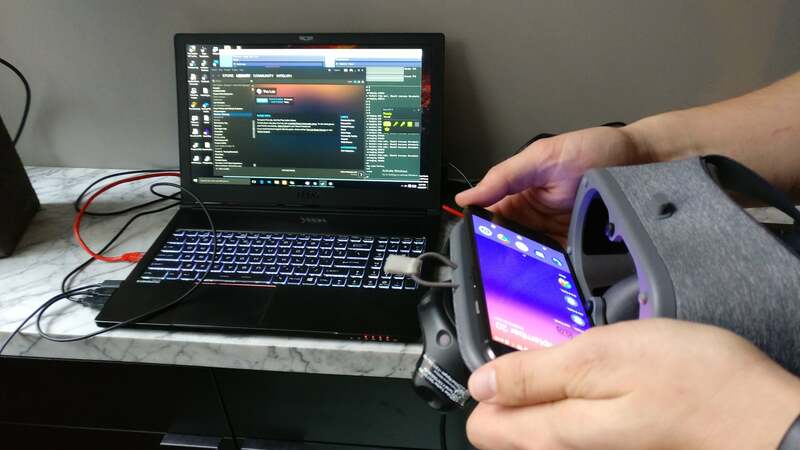 Intel showed off a proof of concept that streamed VR using Wi-Fi to a Google Pixel phone, performing a minimal amount of rendering on-device. The app—an archery simulator—worked well. The story behind the story: Intel has two motivations here: elevating virtual reality for the masses, and separating itself from its competition. That involves addressing pain points like the wired HDMI tether that Intel talked vaguely about in 2016. Fast-forward to 2017, and the WiGig wireless connection for VR that Intel co-developed with HTC is moving ahead. That’s an assurance that Intel is committed to developing VR-specific logic in forthcoming generations. Could VR support be a feature of the upcoming “Ice Lake” chip, perhaps? Intel’s “media engines” refer back to the company's own evolution. Beginning with a single instruction thread that powered everything on a PC all at once, Intel and rival AMD moved to processing two threads per core, and then multiple cores on the same die. 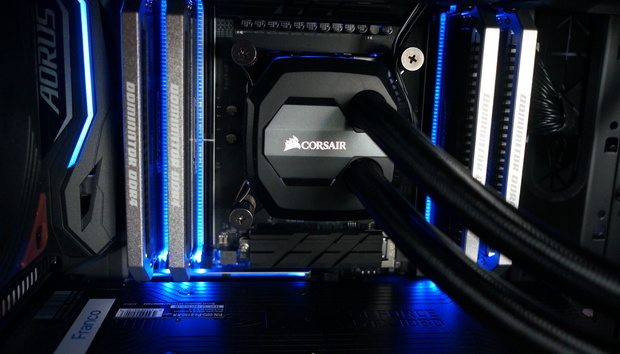 Separately, Intel began adding GPU logic to its processor cores, as well as video capabilities, because the demands of 3D moved beyond the capabilities of its processors. Over time, Intel has successively “blessed” certain applications, designing dedicated logic blocks to optimize their performance. In its Kaby Lake chips, for example, Intel built in a dedicated video engine to accelerate the VP9 and HEVC codecs in hardware. The idea there was to take the codecs that services like Netflix and YouTube were using to transport 4K video at relatively low bandwidth, and optimize the Core chips for their playback. 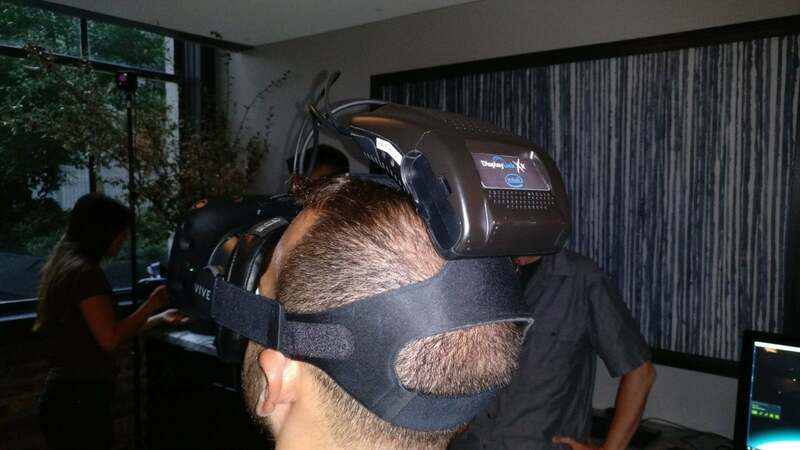 The WiGig wireless VR module, co-developed by HTC and Intel. Now, VR appears to be the next problem to solve, and Intel already has some ideas. “Can we do more optimized rendering for things like foveated rendering, [rendering] pixels where you need them and not where you don’t, as opposed to brute-forcing it?” Pallister asked. Foveated rendering simply avoids rendering pixels that the user cannot see, saving computational horsepower, and it’s a feature that companies like Microsoft talked about as early as 2013. GPU companies like Nvidia have begun promoting a technique called multi-resolution shading (MRS) instead. But Nvidia’s MRS assumes a dedicated GPU is present, something that usually elevates a computer’s price, especially a notebook. Intel needs to establish that entry-level VR or mixed reality offers a satisfactory level of quality in order to widely promote VR, Pallister said. “These are things that are going to be necessary to getting high-quality VR on notebook machines,” he explained.